Super Eagles’ opponent Iceland has released a 23-man list for Russia 2018 FIFA World Cup on Friday. In addition to 23 players, 12 other players have also been selected as the reserve and will be on standby. 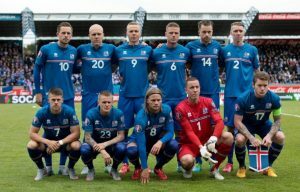 The Football Association of Iceland has also produced an interesting video to announced the squad for Russia on their YouTube channel. Forwards: Alfred Finnbogason (Augsburg, Germany), Bjorn Bergmann Sigurdarson (Rostov, Russia), Jon Dadi Bodvarsson (Reading, England), Albert Gudmundsson (PSV, Netherlands).